My dad taught me the finer points of grilling when I was a young lad. He was a charcoal guy and showed me the lighter fluid/charcoal method and I had my initial ash tray face before I was 13. Singed eyebrows and burnt hair smell were common in those days as I learned the basics of lighting a fire for the grill. Fast forward to later years when I inherited a grill from a friend. The electric igniter didn’t work and I turned the propane on and stuck a BIC lighting stick in the grill and PRESTO!!! Another blast to the face with a hairless expression. But I have come a long way since then and now I have a wonderful grill and a nice setting in which to contemplate life and burn some bovine flesh. Meat- always cook on medium heat. Pittsburgh rare, which is basically like the charred exterior of a catcher’s mitt, coupled with bloody red and still “mooing” interior, is not optimal. Cooking low and slow is the way to go. 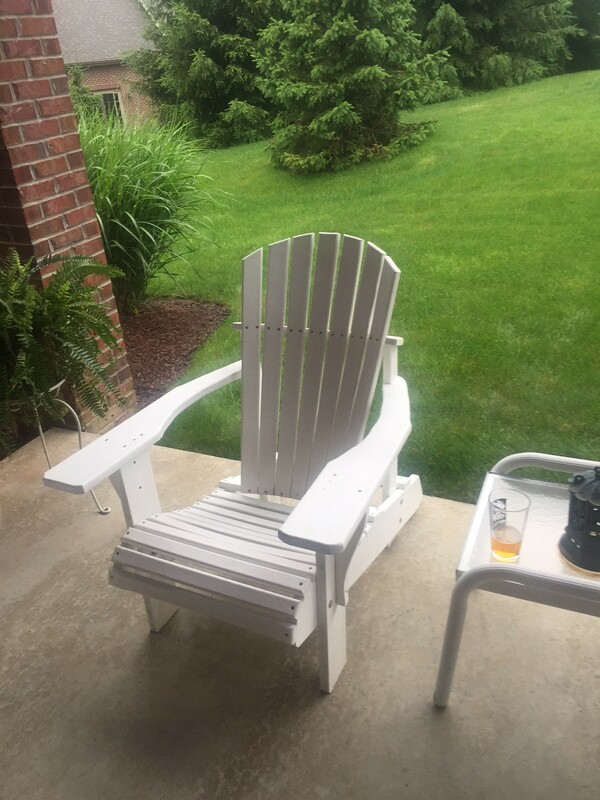 It also gives you a chance to catch up on your Facebook and email and enjoy the obligatory grill side beer- like in my Adirondack chair. You can sear steaks, burgers on a higher setting initially to seal the juices in and get the grill marks, but you better put it quickly to medium or you will have a 3 alarm fire in your grill and won’t be able to tell the difference between the burger and the coals. They tell you to use a meat thermometer but I always gently cut into the middle of a test burger or steak and see how it looks. I try not to lose the juices with this inspection but it is the tried and true method. Fish and shellfish- if the cut of fresh fish has skin, put it skin down right on the grill. Again, low and slow on low to medium heat. Don’t flip it and test as per the meat method. When it is finished, you can slide the filet right off the skin which is left on the grates. That way you don’t have to deal with the skin while eating. Clean the dead skin off the grill later so the varmints don’t get it. Olive oil and dill is a great preparation for any filet of fish. 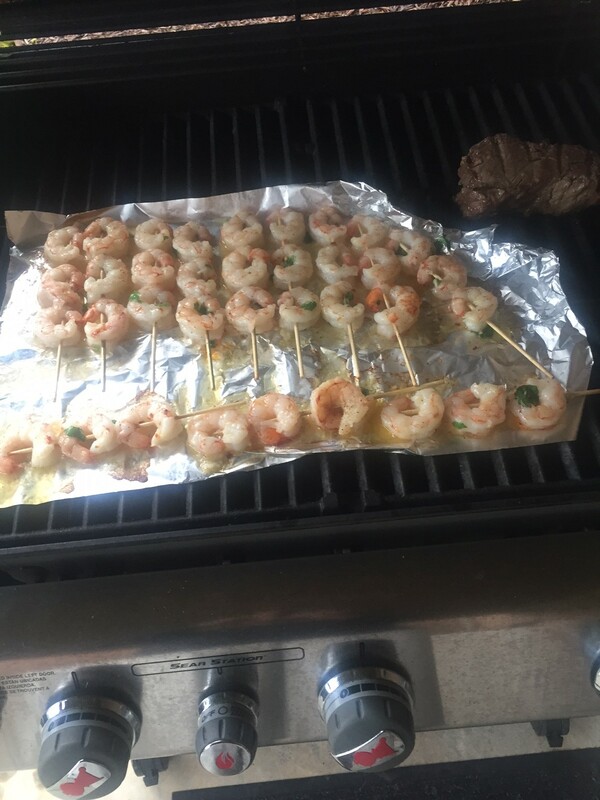 For anything that does not have skin or shellfish, a piece of foil over the grill with a good marinade will work. Believe it or not, a real nice fresh filet of bluefish or other oily fish can be marinated in gin and cooked on the grill. Amazing how that tempers the strong flavor of oily fish and actually makes it more moist and flavorful. I learned that trick from a crazy man up in Martha’s Vineyard years ago. He was the same guy that almost ran us into a buoy while touting his navigational skills. Always pay attention. You can get engrossed in a conversation, or Facebook, or email, and the next thing you know the flames are shooting out of the side of the grill and your potential meal has been temperature compromised. Like that proverbial catcher’s mitt. Always check by lifting the lid and testing with your knife. 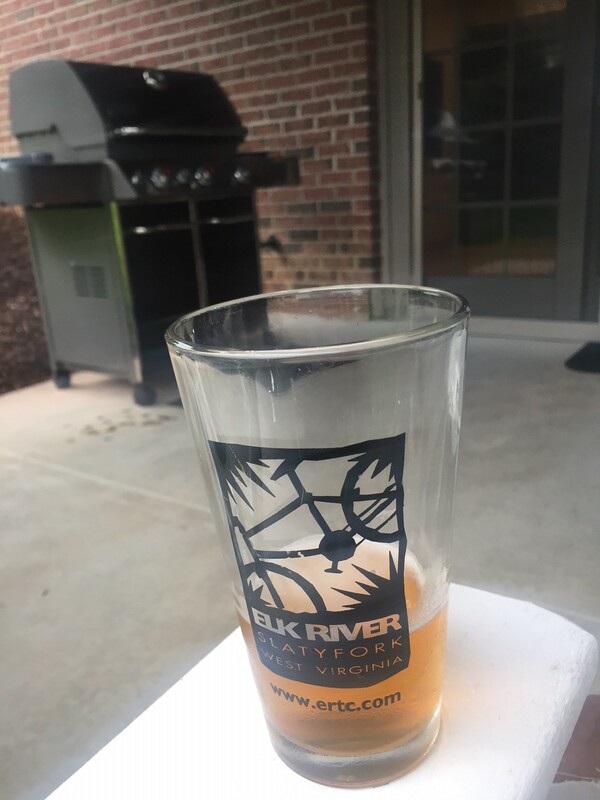 Sipping a cold IPA will always go well and even in the winter, a wool hat, a puffy, quilted jacket, and boots are key elements to year round grilling even in the worst weather. A head lamp in the winter is also key to see exactly what you are doing even when the time change has left your grilling area dark and cold. 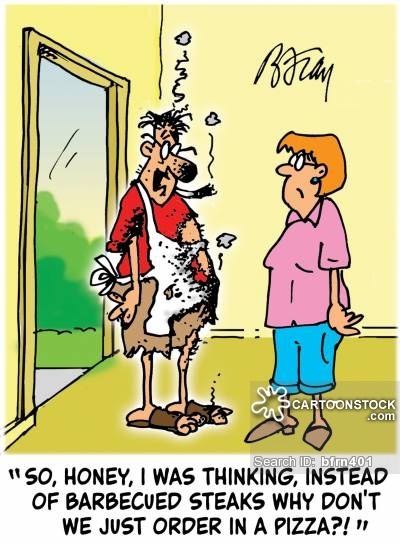 Probably the most challenging thing about grilling is the fickle nature of your family or guests and how they like their meal prepared on the grill. ” I like mine pink, but not red. A little pink, you know, not bloody, but not too well done. Can you do it a little pink? I don’t like it rare, but I don’t want it done too well.” What the hell????? Some pieces have to be moved to the upper grill so as not to get too well done while you are waiting for the others to finish cooking. The juggling around the grill is a true art which is learned by trial and error and lots of previous criticism from family and friends. Chicken- always pounded flat. Or as they say here, pahhhhhhnded flat. Marinated overnight in Good Seasons Italian dressing is preferred. Pork- forget it. Too dry no matter what you do. Don’t let anyone tell you different. Cook pork inside in a roaster. Buns- must always be toasted on the grill with the exception of really fresh ones. Inside of the bun down on the grill and not too long. Just enough to get the grill marks. Otherwise, you can remove them and throw them at the neighbor’s dog. If all else fails, have the local pizza shop number handy. Grilling is an art that is acquired with a lot of trial and error. Thanks for reading and don’t burn yourself. Lyric butchering courtesy/apologies to Little Feat, Apple Music, and Emmy Lou. 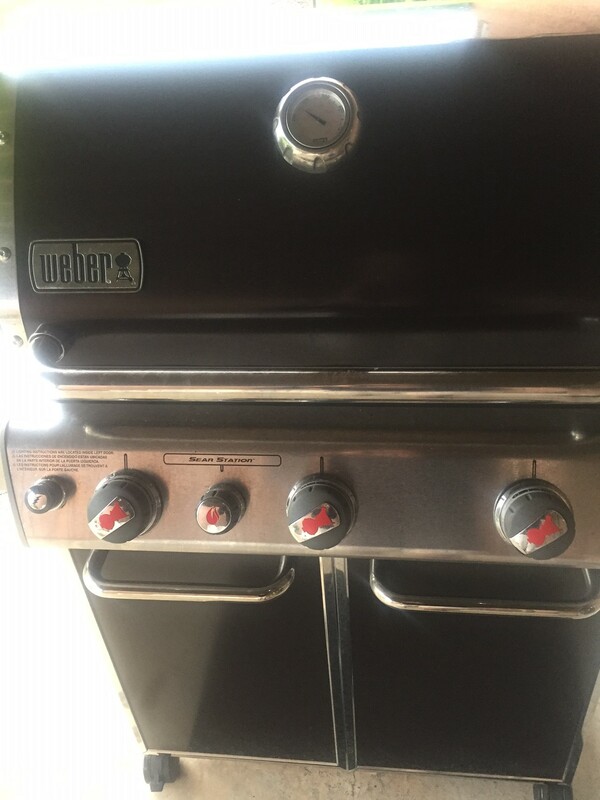 This entry was posted in American Culture, Cooking, Grilling, Humor and tagged Weber Grills. Great Blog but now I’m hungry! Thanks for the follow Bill. Glad you enjoy. Cheers, EJN Forgive because – Un-forgiveness is like drinking poison and expecting the other person to die. Thanks for reading the drivel Elaine. Hope all is well? You look great. You’re an artist Pat, thanks for the tips. I’m the king of carcinogins when I grill. Gin marinade. I’m in. Thanks for the tips! It is a good one Edie. Takes the oily skank out of the fish. Take care. Racer X rules. This is the time to start grilling. I agree everyone wants it done differently. I when someone else is doing the grilling but I sure like to eat it! Nice blog good tips. Thanks Lisa. Great time of the year. Your utterances are always educational Pat! I love grilling! And funny thing, i always have a beer while grillin! Keep up the fantastic blogging! Hutch. I appreciate you reading my drivel. Thinking today about our next ski outing. You and I got East and West together this year. Camping and mountain biking this weekend over near Raystown Lake Pa. Great weather. I like high heat for steaks, 3-4 mins on each side depending on thickness. Also, I just heard about an article linking charcoal grilling to cancer…makes sense if you think about it.